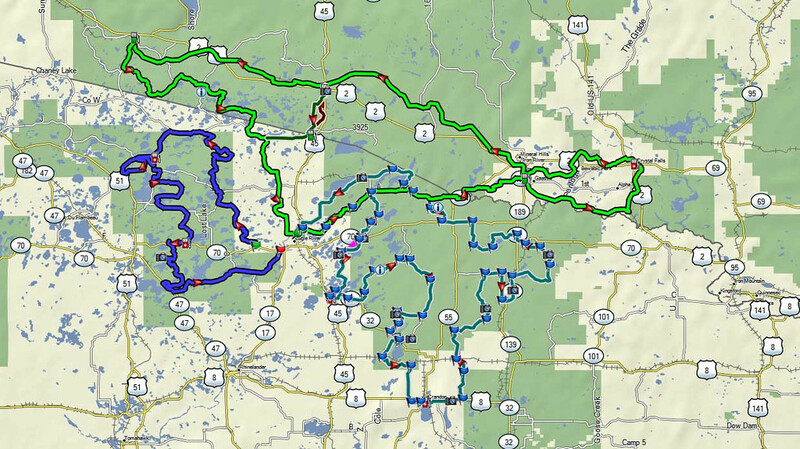 This thread contains more than 25 sets of tracks for rides based out of Eagle River in north Central Wisconsin. I am moving this from my previous site where it had 303,043 views. 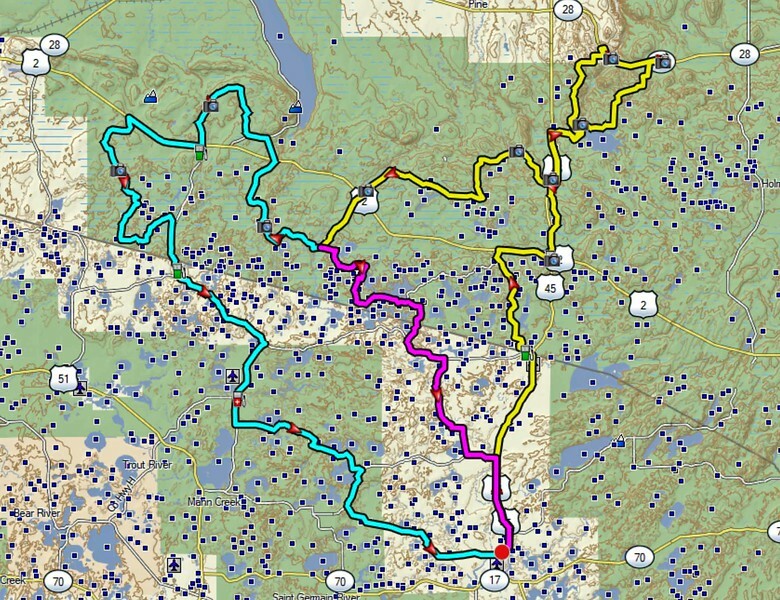 This catalog of rides allows riders to enjoy entertaining GPS guided dual sport of adventure rides in this region on their own at any time. 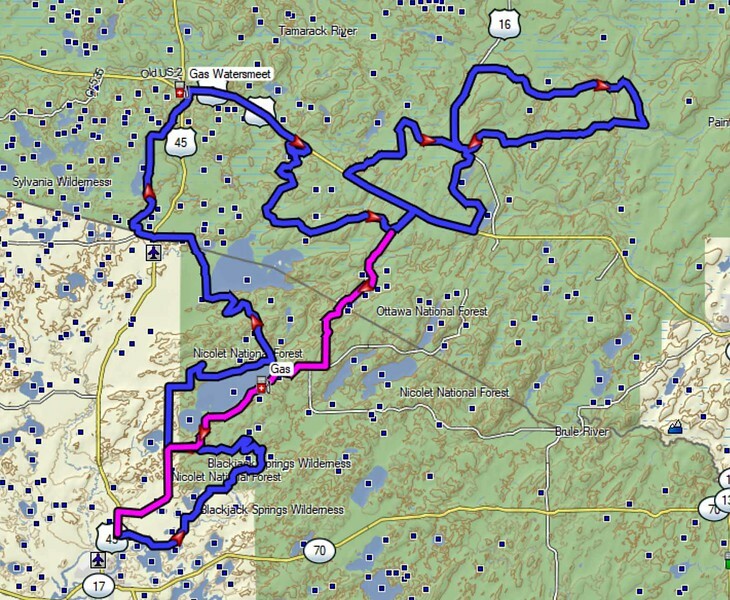 The catalog allows for weekend rides on different routes for many weekends over time. 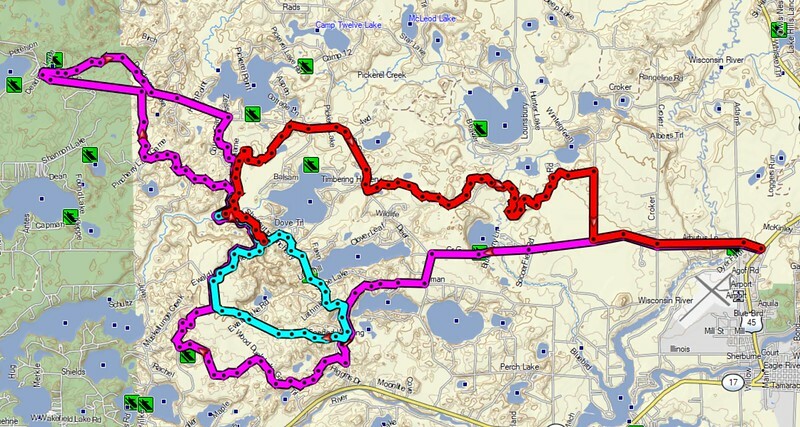 It also serves as a catalog of Central ADV Rally tracks when the rally is held in Eagle River. I'll have to work up a picture of all the paths consolidated into a single file, but I think it would be uselessly cluttered. 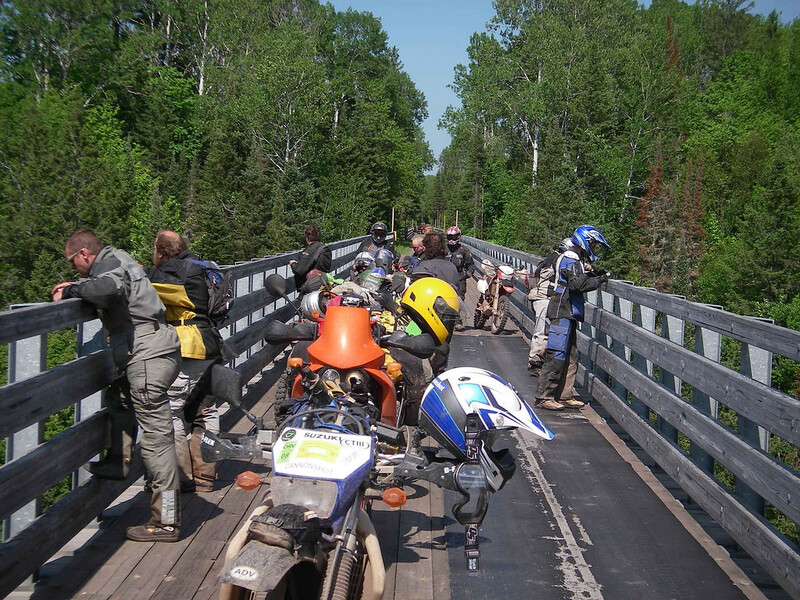 Northern Highland - American Legion State Forest ride. This is by far the most popular ride in this area. 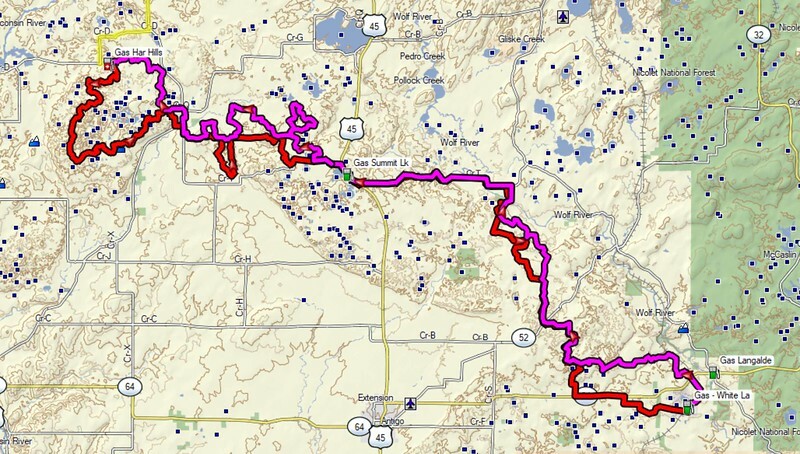 It is about 140 miles long. More info here. 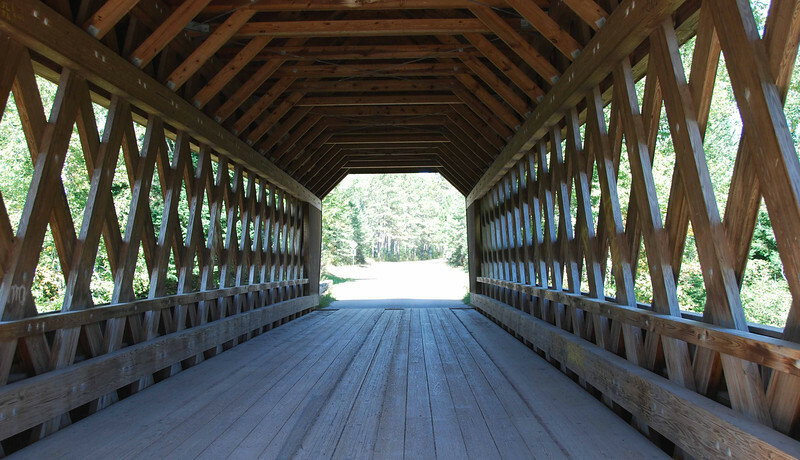 This track has been downloaded more than 10,00o times from my previous site. 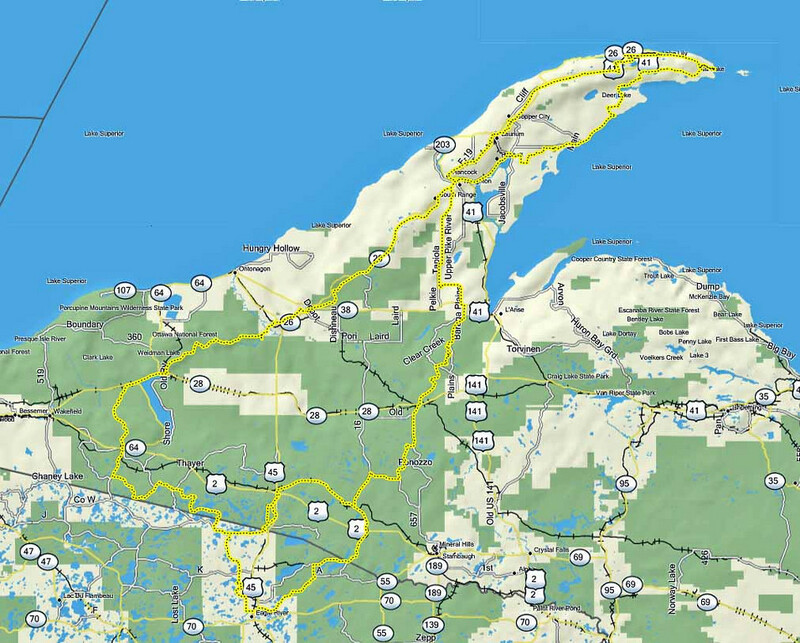 This file contains tracks for the NHAL, a ride on MI railroad grade trails, and an auto route in the Chequamegon-Nicolet National Forest. More Iinfo here. 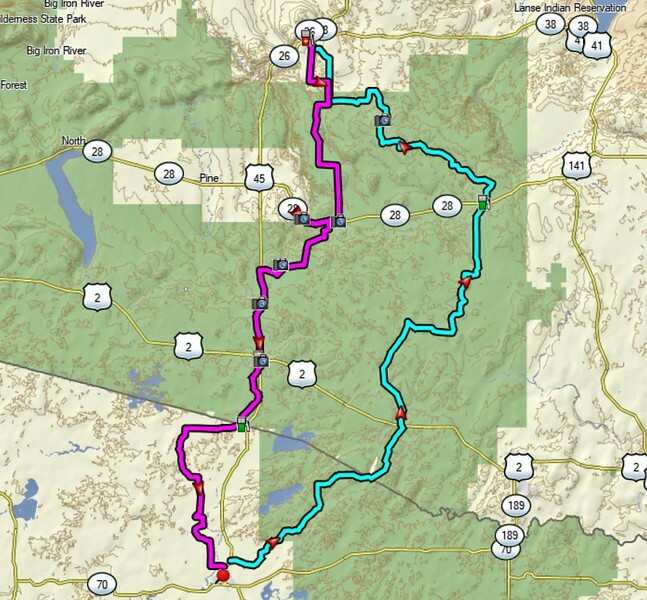 This is a 194 mile path that takes in some scenic forest roads and waterfalls. 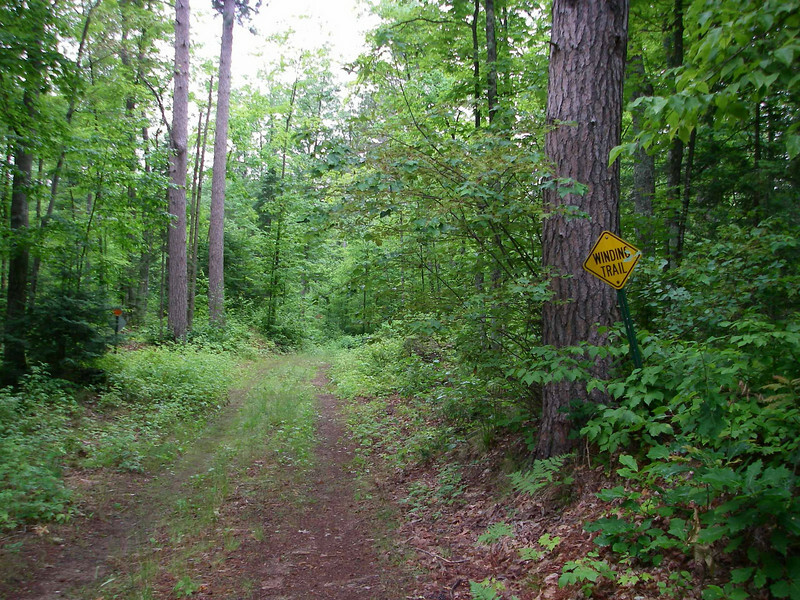 Paths between the Porterfield and Bass Lake OHM trails. 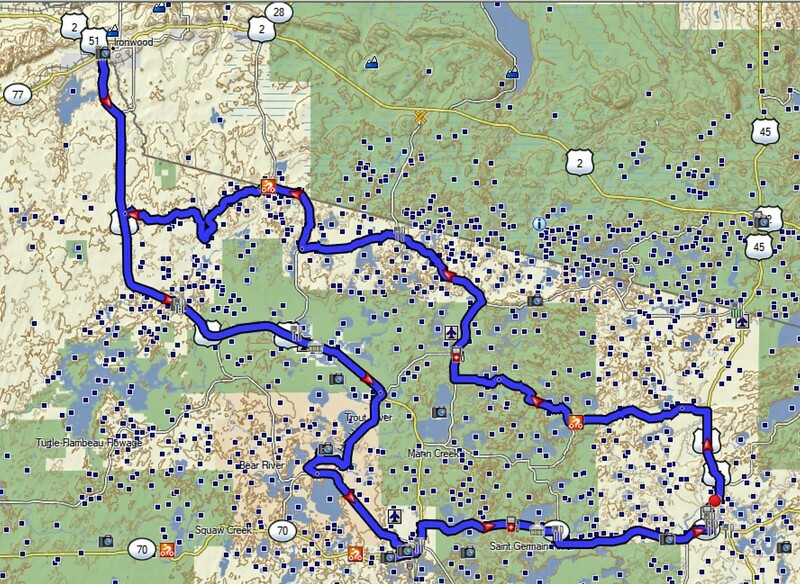 This is an entertaining 139 miles ride using many forest roads. 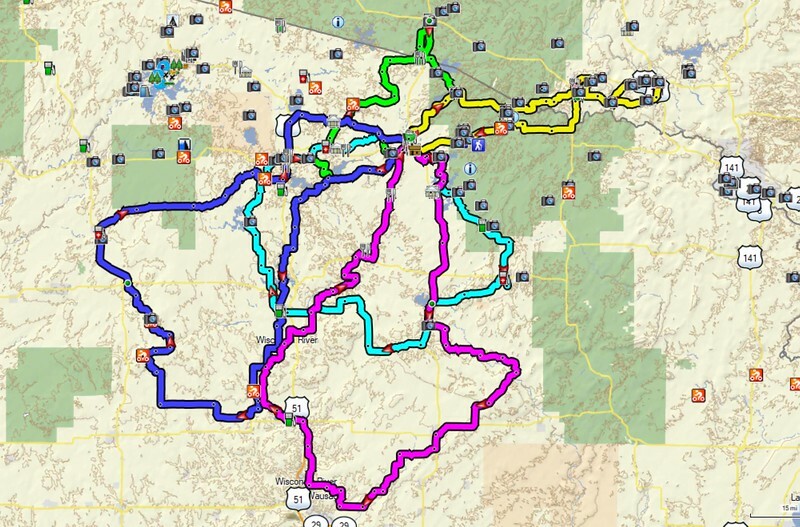 This is a scenic and entertaining 200 mile dual sport ride largely in the CNNF. 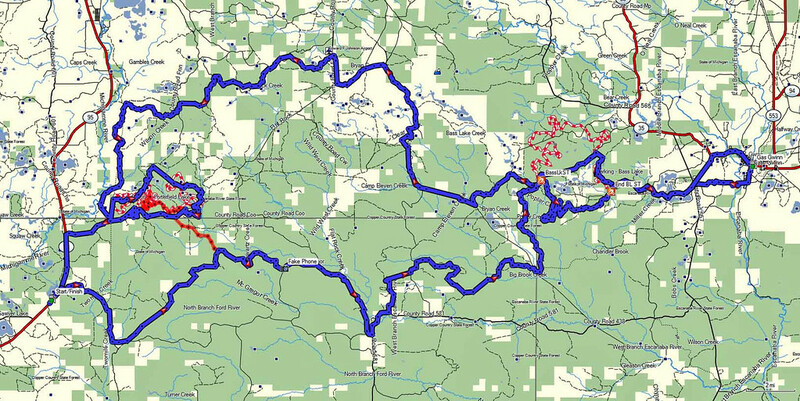 This is a tour of gangster related site in the region including Little Bohemia which was the site of a shootout between the FBI and gangsters. 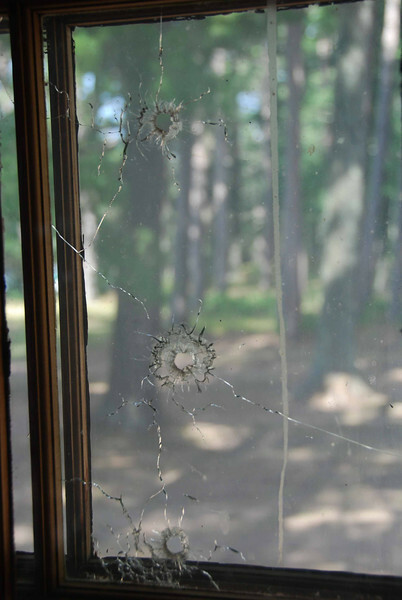 Bullet holes are still visible there. More info here. 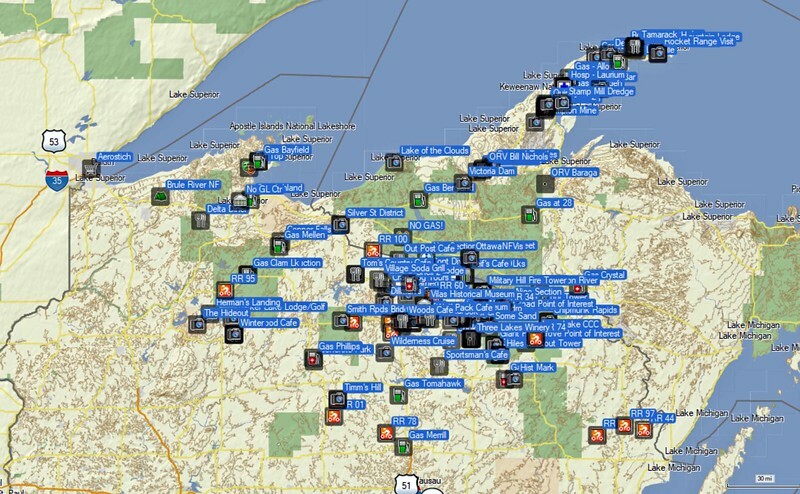 General points of interest in the region. 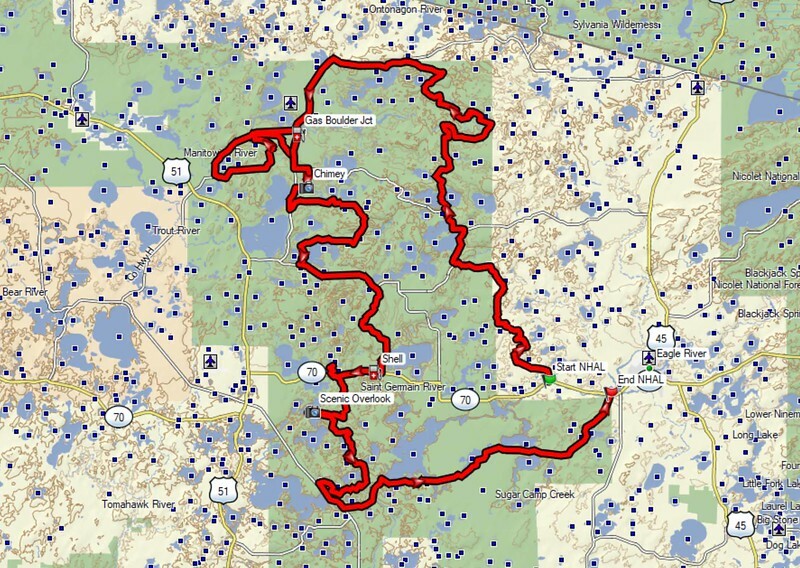 This file contains waypoints for some POIs in the region. Nice to load into the background no matter what path you ride. 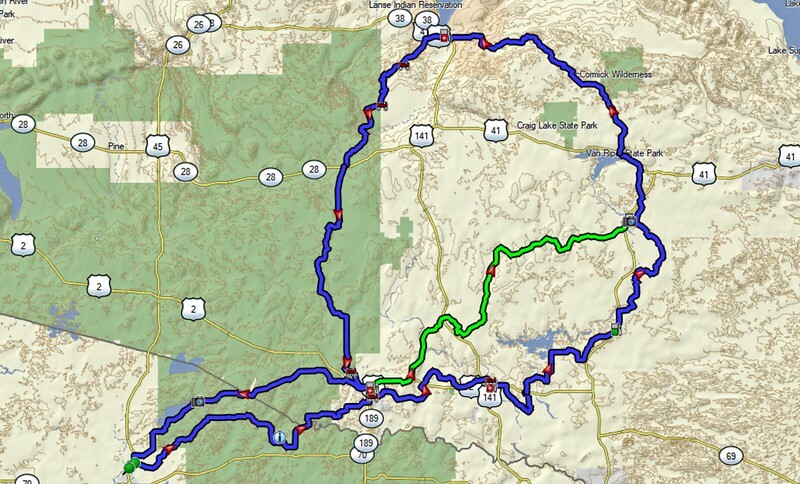 Dual sport ride that takes in gravel roads and railroad trail. 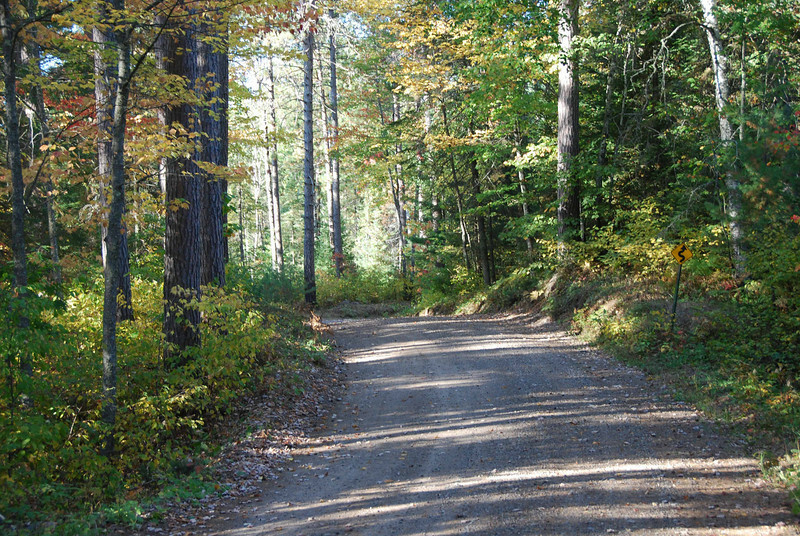 A quick and fun ride on rolling and twisty forest roads close to town. 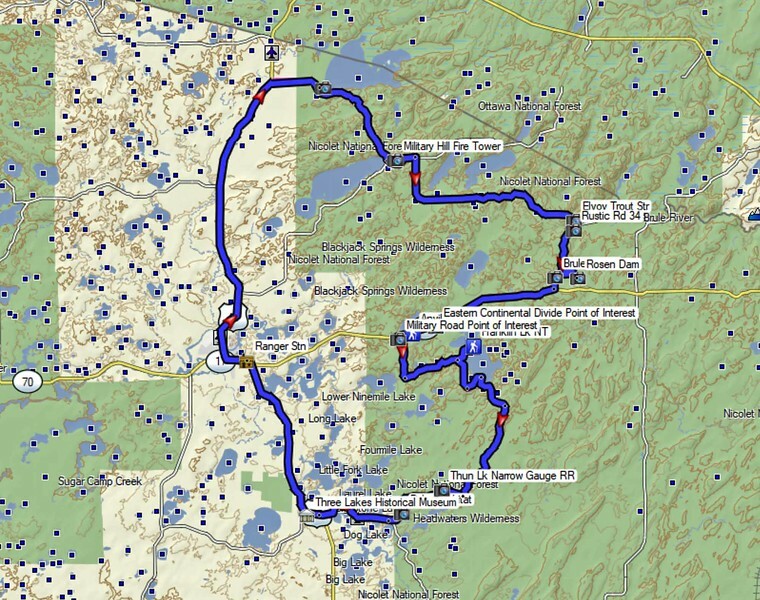 An auto tour of part of the National Forest as laid out by the CNNF. 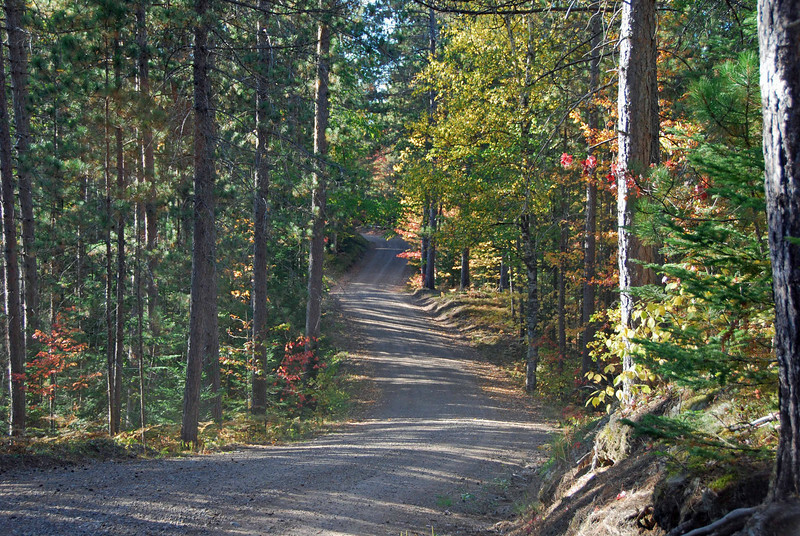 Mostly gravel. 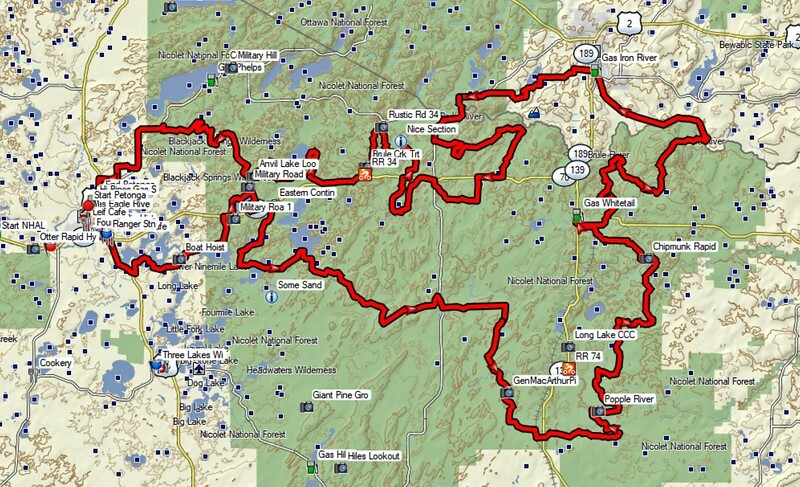 DS ride that incorporates sections of the Harrison Hills and Parrish Highlands trail systems.